One of the world’s oldest and purest breeds of light horse, the Arabian’s ancestry is as far-reaching as civilization itself. Historical figures the likes of Genghis Khan, Napoleon, Alexander the Great and George Washington all rode Arabians. Originating in the harsh desert conditions of the Middle East, this compact, efficient breed with its unparalleled stamina, intelligence, hardiness, gentle disposition and loyalty evolved as a direct result of the unforgiving climate, and became both a necessary instrument for survival and the most valued possession of its Bedouin master. Designed for efficiency and longevity, Arabians are medium-sized (between 14.2 and 15.3 hands), short-coupled and possess a lean muscle mass. Their large lung capacity and efficient metabolism allow them to carry heavy loads over great distances in extreme heat and with little water. In time, European horses were introduced to extensive infusion of the centuries-old pure Arabian blood when the heavy-boned sturdy war horses of the Middle Ages were replaced by light, swift and agile cavalry mounts possessing great endurance. Given the Arabian was the original source of quality and speed, and remains foremost in the fields of endurance and soundness, the breed either directly or indirectly contributed to the formation of virtually all modern breeds of horses. Today, the Arabian remains one of the most popular and exceptionally versatile breeds in America. In addition to essentially dominating the disciplines of endurance and competitive trail worldwide, the Arabian enjoys popularity across a wide range of disciplines, including English and Western pleasure, cutting, reining, jumping, dressage and driving. By crossing the Arabian with other breeds, the resulting Anglo- and Half-Arabian affords owners and exhibitors the ability to combine the best of two particular breeds and essentially create the “custom” show horse of their choosing which excels in their chosen class or discipline. AHA is the official breed association and registry in the U.S. with more than 26,000 members who own Arabian, Half-Arabian and Anglo-Arabian horses. 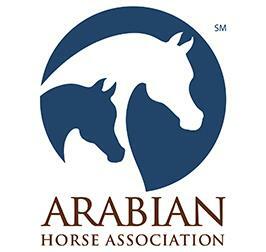 As the official breed registry for the Arabian horse industry, the AHA Registry has registered more than 1 million Arabian, Half-Arabian and Anglo-Arabian horses since its founding in 1908, ensuring the integrity and perpetuation of the breed. AHA offers over 400 events and competitions and the largest online marketplace and community forums on the web, bringing people together to share the joys of Arabian horse ownership.